A Humble Journey in Accessing the Quran! Like many others, I grew up learning how to read the Quran, but I never understood what I was reading. This first struck me when I moved to the USA in the mid-1990s to study engineering on the graduate level. 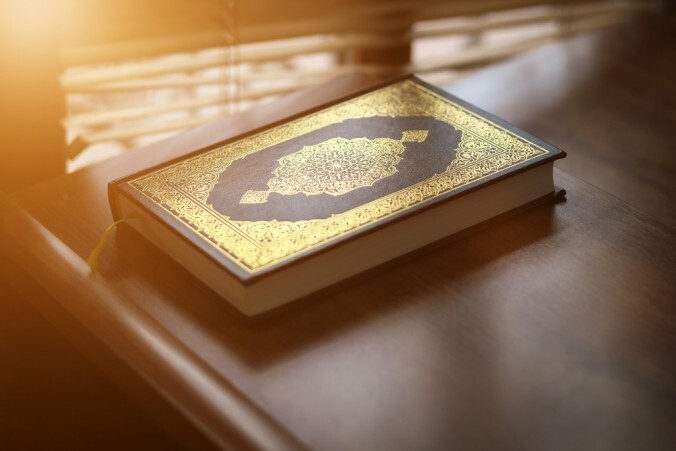 Shortly after I started school, one of my non-Muslim classmates casually asked, “So you read the Quran but don’t understand it; that doesn’t bother you?” It made me think for a while, but at the time, I was focused on life’s other priorities. Fast forward to 2014, and one day I was watching a lecture by Ustadh Nouman Ali Khan, during which he said something that, alhamdulillah, left me dumbfounded by Allah’s wisdom: in his lecture, Ustadh Nouman made the point that we spend so much time reading so many books on so many different topics and subjects but we rarely ever take the time to understand the one book sent to us by our creator, Allah (Glory to Him in the Highest). At that instant, I knew in my heart at that I wanted to learn to understand Quran better, whenever I am reading or hearing it being read! Allah (SWT) recently gave me a very interesting opportunity. It just so happened, unfortunately, that I lost my job in July, and within a month of that, one Friday after Jumu’ah prayer, my wife handed me a Bayyinah flyer and encouraged me to check it out. It was a flyer for the part-time Bayyinah Access Program designed for working professionals who want to study the Quran more but have limited availability. Honestly, my initial reaction was to focus on my job search, rather than spending money on “yet another course.” However, Allah (SWT) had another plan for me! My wife persuaded me to at least attend Bayyinah’s open house, so I did, and thanks be to Allah, I walked out of it having signed up. Little did I know how this little decisions would change my priorities for next few months. Now, when I look back, I feel it was the best decision I’ve ever made! Alhamdulillah my first class was so fulfilling that I decided to place my job search on hold and study for what was a part-time class full time so I could finally understand the Quran to the fullest extent possible. Furthermore, alhamdulillah, we were fortunate to have Professor Wasif Ali Khan, who was very persistent in making the learning process easy for us by consistently designing the sessions and exercises so they followed a logical sequence for easy and efficient learning. I also made so many friends, and I strongly believe that the friends I made in learning the book of Allah (SWT) are true, long-term friends, who have my utmost respect. Needless to say, the moments I spent both in class and at home studying were the best in my life. I know, due to life’s demands, I will have to go back to work soon, but the journey I started holding the hand of our professor, who was committed to getting us “up and running,” I feel will carry forward as part of my journey of learning the Quran. And, very soon, I will be able to understand every ayat of the Quran as it is read or recited, Insha Allah! I would highly recommend this class to those who have been “planning but shelving the plan” to deal with life’s priorities. If possible, take a break from work but, if not, take this class as it is designed, for people like us who can commit only a limited amount of time each day, due to work. I promise this will change your life in ways you can’t even imagine. Understanding the only book of Allah is something we owe to ourselves as Muslims, but most importantly, we owe it to Allah (SWT).